Here's a video for this model. Here's a parts list you'll need for building this model. 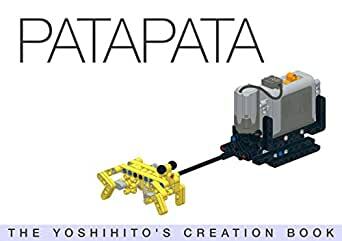 This book includes one model which is well-selected as an attractive work from among a number of Yoshihito Isogawa's LEGO® creations. And the book also shows you step-by-step instructions to recreate the model. This book will be useful for those who would like to experience the specific mechanical building, those who would like to create new works for their children, and those who would like to learn the machine structure in the Yoshihito's way. If you would like to learn the mechanical engineering and robotics using LEGO® bricks in earnest, Yoshihito's books which were published by the USA publisher - "The LEGO® Technic Idea Book" series and "The LEGO® MINDSTORMS® EV3 Idea Book" are recommended. Great project for my kid. Very simple to understand how things work. We are planning to make it work with renewable energy kit. It's a interesting design. But this is overpriced. Its great to see Yoshihito's creations as an ebook. Try his other books as well.